Everybody expects Song Hye Kyo to be on cloud nine. 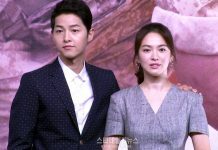 The Descendants of the Sun Star won the Grand Prize (Daesang) and also the Best Couple Award with co-star Song Joong-ki at the KBS Drama Awards 2016. In her acceptance speech, she acknowledged the Alpha team, Jin Goo, her mother, her fans and thanked Song Joong-ki and said – “But, the only reason why I am able to get this award is because of Song Joong-ki. 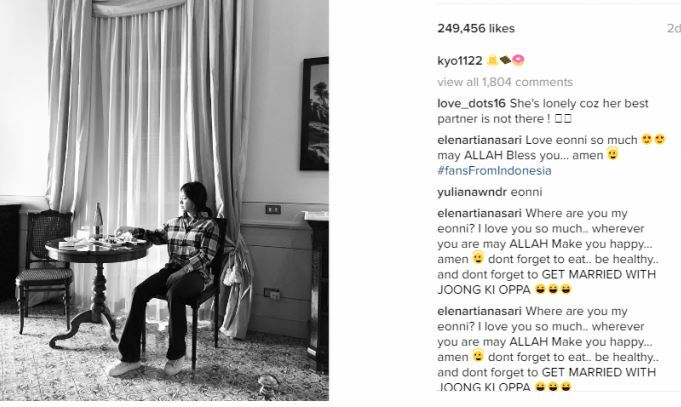 I wouldn’t be here without him.” She also later posted a pic of herself with the co-star, which was widely appreciated by Descendants of the Sun fans. But it looks like all’s not well with Song Hye Kyo. Song Hye Kyo posts black and white Instagram photo: Is she depressed? While we can’t tell for sure if the Descendants of the Sun star is actually depressed and feeling low, we do know that the pic doesn’t depict a cheerful Song Hye Kyo. If anything, she must be really cheerful after winning the Grand Prize and the Best Couple Award at the KBS Drama Awards 2016. Fans, when asking for a colorful pic, also requested the actress to act in a new drama or a movie with her co-star Song Joong-ki. Fans are amazed by the on-screen chemistry shared by the duo and want them to get married. Will the producers cash in on the popularity of Descendants of the Sun and go ahead with Descendants of the Sun Season 2? If yes, fans will definitely love to see Song Joong-ki and Song Hye Kyo return as the stars of the Korean drama sequel.